We have all heard of the term ‘deadbeat dad’, an absent father who neglects to provide for his children or take responsibility for bringing a life into the world. Fathers in such instances are shamed by modern society; the shame is implicit in the term itself. It’s one of the few modern examples where shame is still employed on a large scale. Of course, straight white men are supposed to feel shame for the very fact of being alive but that particular Marxist tactic isn’t having the desired effect. Single motherhood which used to be a source of shame has instead been transformed over the last few decades until it has become an endowment of virtue. Single mothers are presented as victims and simultaneously as being strong and courageous. The real victims of course are the unfortunate children of such selfish acts. But that does not matter if you are a woman and easily seduced by the instant victim credentials that being a single mother gets you. So it transpires that there were several armed local deputies outside the school in the US while it was being shot up by a teenager. These deputies did not enter the building and engage the shooter due to the fact that they were wetting their britches. It seems that there is a good proportion of US cops who are happy to shoot in the face unarmed civilians wearing bathrobes but shake with fear at the idea of engaging and taking a down an armed criminal in the middle of a gun rampage. The “school guard” or whatever his official title is supposed to be was outside the entire time hiding behind a concrete pillar. The fact that he was armed and that he knew that there was a shooter inside gave him a distinct advantage over the shooter as the shooter did not know that he had a potential armed opponent on the scene. But even with this advantage he still didn’t enter the building. 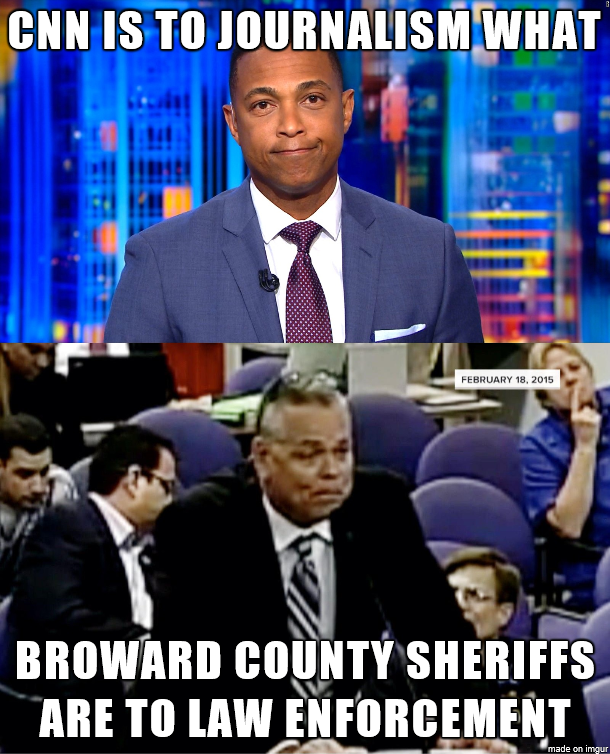 He didn’t even try to stop the shooter when he exited the building. No country is perfect. Take Uganda for instance; it has great weather all year round, possibly the best climate in the world, but unfortunately it is spoiled by everything else. Holland is on the opposite end of that scale; quite possibly the worst weather in the world which is offset by one of if not the most liveable spots on the planet. Except for lunch. The Dutch don’t do lunch, which is unfortunate as I am somewhat of a lunch connoisseur. Dinner is great but lunch is far better. A wonderful lunch in a fine establishment with oodles of wine and other drink is the height of civilization, a rambling 5 hour affair from which you stagger out onto the pavement, hail a taxi and proceed straight to dinner. Or if you’re really on your game while you’re finishing up your lunch you simply inquire of the staff if they would mind changing the tablecloth with a fresh one so you can proceed straight to dinner without even moving. But all of this is predicated on a proper lunch, one that involves various courses and proper cooked food. This weeks hawt chicks & links thread takes a steely look at the curse of modern management in all its guises. And when I say modern management I want to give particular mention to modern Anglo-Saxon management which takes all the gold medals at the special Olympics for moron management. The act of letting whatever you’re supposedly responsible for fall to bits and then cast around for suitable schmucks to take the blame. Women don’t have careers; they have jobs. And with that let’s dive into our glorious bag of goodies.